First here’s an old joke about a dog who grabs the postman’s hat and takes a bite out of it. “I don’t like your attitude!” responds the postman. 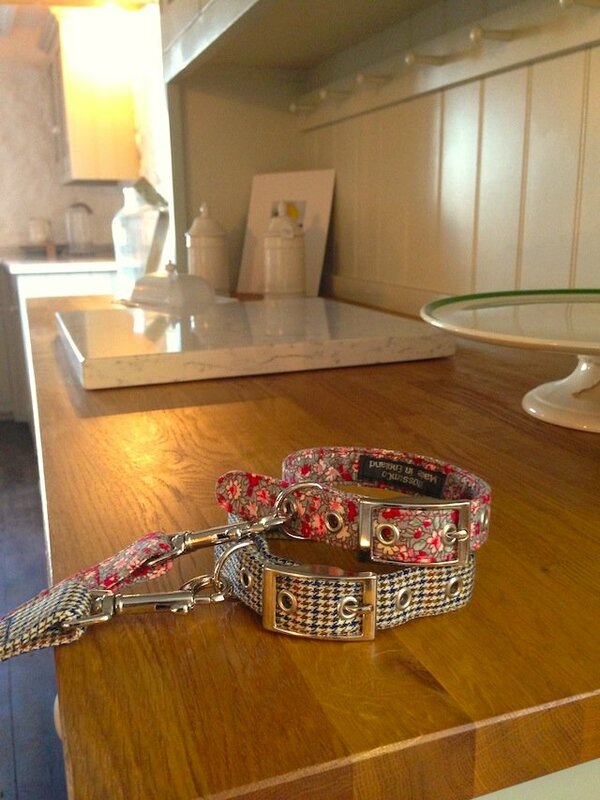 Wears: Kitty – the full complement of matching collar, lead and bandana (Way to go Fizz!). 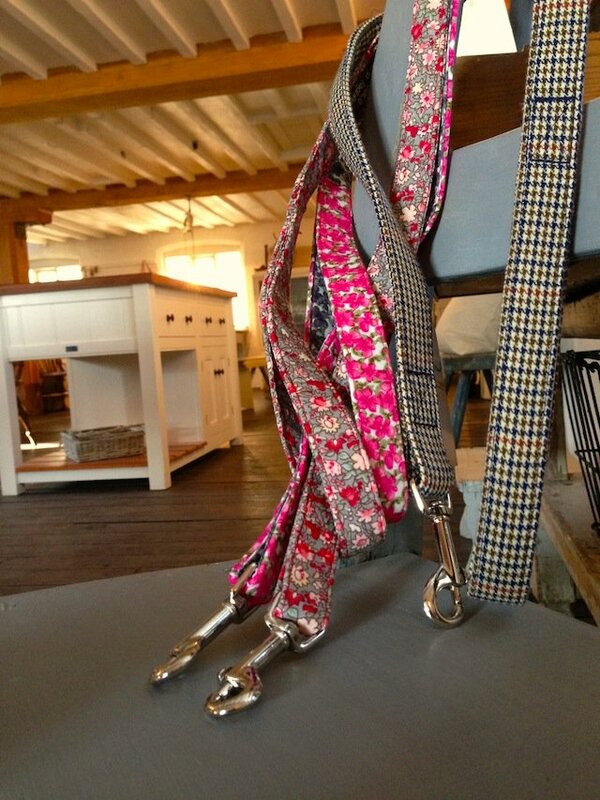 Kitty’s owner is also helping her extend her BlossomCo wardrobe with some additional new designs. Life with Fizz: This is a dog with serious attitude… She huffs and puffs and moans if she doesn’t get her own way! If you tell her no… Miss attitude comes out. Fizz likes: Fizz loves licking – and no one can get her to stop, so watch out if you get too close!! She also loves to have her tummy tickled and will roll on her back to get a tickle from anyone!! She never tires of playing fetch, and also likes to burrow under anything to get all nice and snuggled up… Her favourite thing of all though, is sitting on the sofa and looking out at all the birds and squirrels in the garden – maybe she thinks she’s on the Night’s Watch from Game of Thrones! 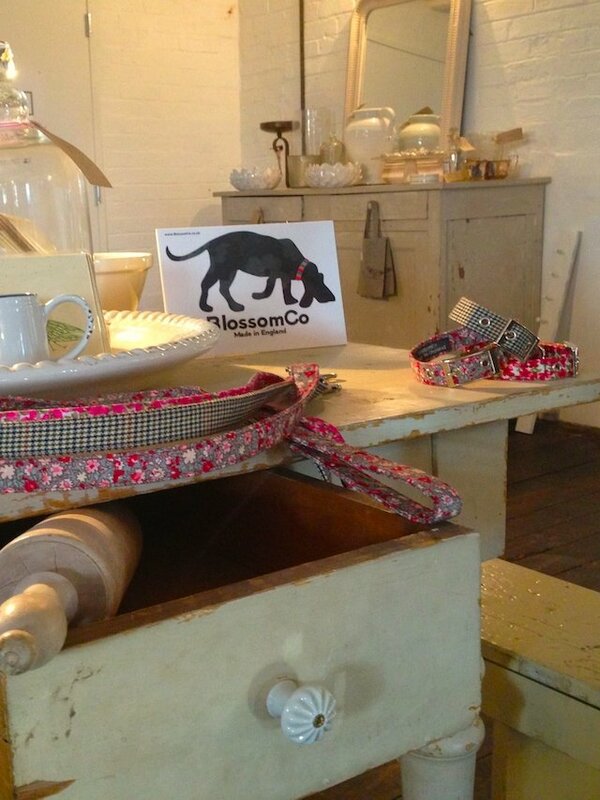 And most of all of course, Fizz loves wearing her BlossomCo attire and all the attention it brings! We may not be Greek or a great Oracle, but we’re predicting that our new ‘Delphi’ design is going to be a best seller at this year’s Harrogate Home and Gift show. 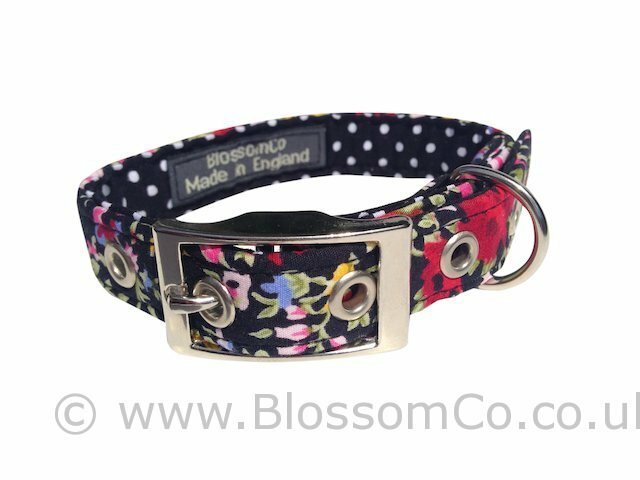 With its tasteful black floral and black and white spot lining, we are sure that this collar and lead combo will be a winner this season. 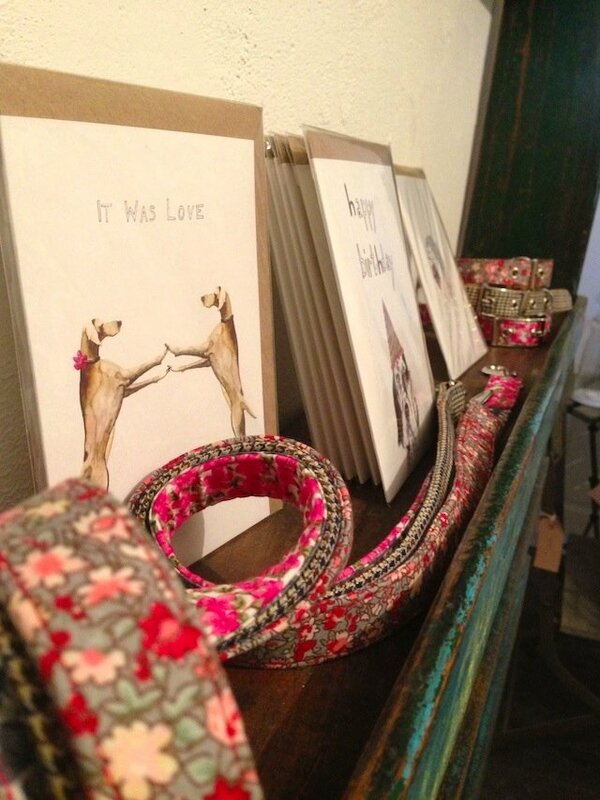 Don’t forget to come and see Polly at the show from 13th-16th July in Design Point 3, stand 37. 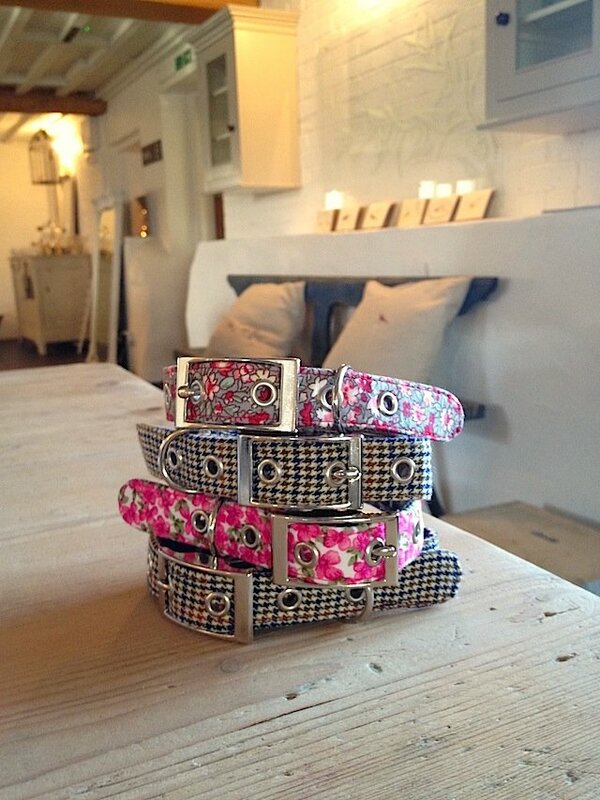 Keeping on trend this Spring, Pudding dresses to impress in new BlossomCo Spring Floral. Presenting Pudding, the five month French Bulldog. Best Tricks: True to her name, Pudding is a greedy girl and will do anything for a piece of chicken – she has recently learnt to ‘paw’ and now walks around with her paw out to catch any crumbs going. Worst Habit: Dreadful snoring, loud enough to keep awake the neighbours. 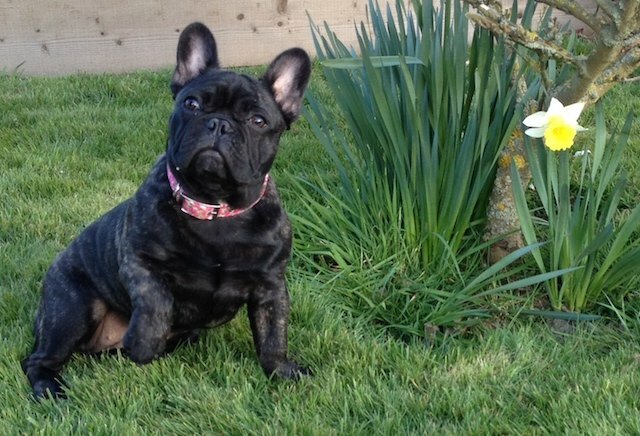 Pudding likes: Walks – but avoiding those pesky puddles that make her paws dirty (Quite right too!). 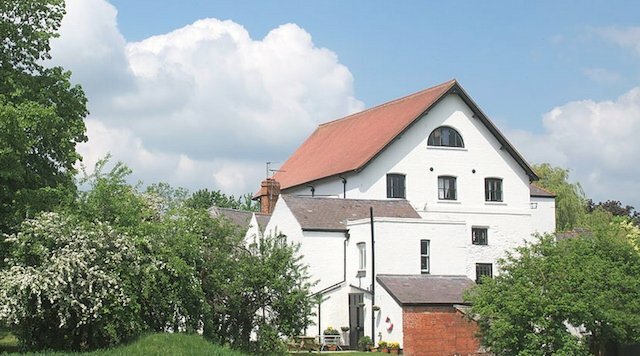 In the heart of Leicestershire countryside, where our products are handmade, we only had to travel a few winding lanes to find ourselves at Cotes Mill. 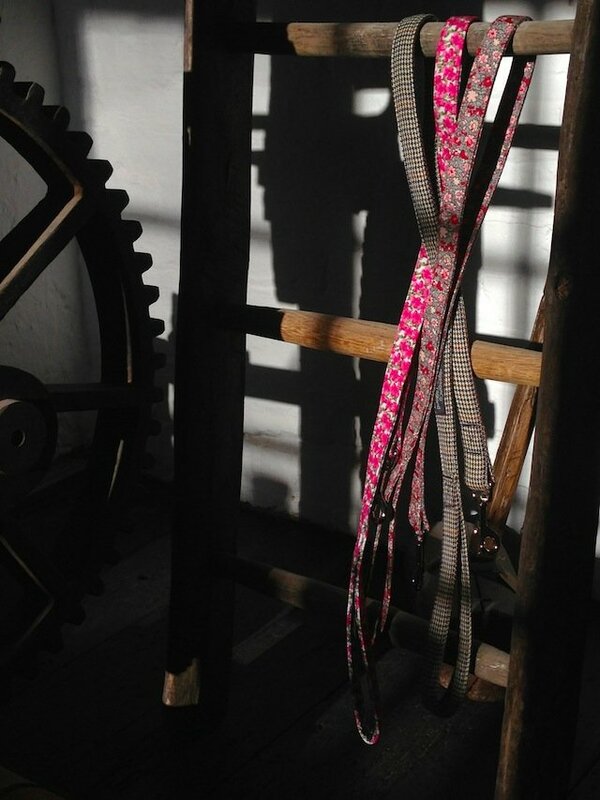 Excited to be photographing our new Spring florals, we could barely wait to unpack them and start clicking away. Cotes Mill has recently been given abundant care and attention, restoring it to a beautiful and atmospheric space, and the splendid home of deVOL Kitchens. We were spoilt for choice for good shots, with light streaming in through the windows, and gorgeous displays at every turn. The clever people at deVOL have put together a beautiful collection of giftware, vintage furniture and handmade home accessories, all enveloped by their beautiful bespoke kitchens. we couldn’t have asked for a better location. Thank you deVOL, we love the results!